A stunning new resort in the Maldives which delivers 5 star deluxe service on what can only be described as a tropical paradise. 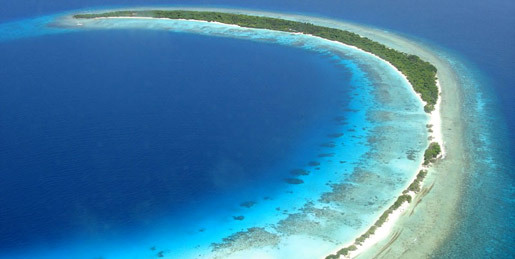 Dholhiyadhoo Resort and Spa is a 50 minute scenic flight, located on Shaviyani Atoll, North of Male. Zitahli Dholhiyadhoo is the ideal location for unwinding and enjoying the natural beauty of this exotic island, with its white sandy beaches and crystal clear waters. Guests have a choice of 100 luxury villa and suites all with private plunge pools. With contemporary yet distinctly Maldivian design, villas range in size from 220sqm to an impressive 517sqm. Each includes state of the art in room entertainment system including LCD TV, DVD, wireless internet access and personal wine cellar for those guests who prefer to relax indoors. The Z’ Bar located over the shimmering turquoise water is the ideal location for a sunset cocktail and meeting place before a sumptuous dinner. Indulge the culinary senses with delectable dishes from the BREEZE restaurant or enjoy a casual meal pool side at AZURE. Be amazed by FUZE the Asian-fusion restaurant and bar with their individual cooking stations and breathtaking ocean views. CHE’Z the Coffee bar and Library is the perfect place for a relaxing after dinner conversation and nightcap before turning in.